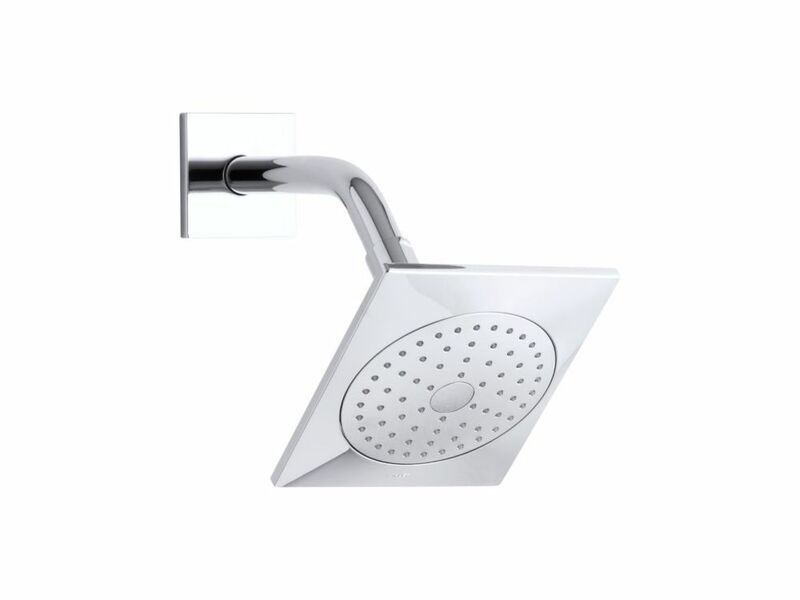 Loure 1-Spray 6-5/16 inch Showerhead In Polished Chrome This Loure single-function showerhead brings innovation to your bathroom with Katalyst, a cutting-edge technology that intensifies the flow of water for a completely indulgent showering experience. With a new nozzle pattern, internal waterway design, and air-induction system, this technology maximizes every water drop and creates a richer, more intense flow of water that heightens the shower's sensory experience. By infusing two liters of air per minute, Katalyst delivers a powerful, voluptuous spray that clings to the body with larger, fuller water drops. Loure 1-Spray 6-5/16 inch Showerhead In Polished Chrome is rated 2.0 out of 5 by 1. Rated 2 out of 5 by bigtires001 from Very Shiny Plastic The loure showerhead is for the most part completely plastic, the only actual metal piece is the end that screws to the shower outlet. Considering the reputation of Kohler Id expect at least the face or most of the face to be metal but no such luck. Also be very careful, the stock image online shows the shower head on a nice finished pipe with square collar, that is actually an optional second item you must purchase for about twice the cost of the head itself.